It seems illogical, but less is more with the Superlight. Removing the windshield puts the driver front and center, with no barrier at all, to the racecourse rapidly diminishing under the low hood. While the Superlight is just a concept, that doesn’t mean it’s some cobbled-together showcar. 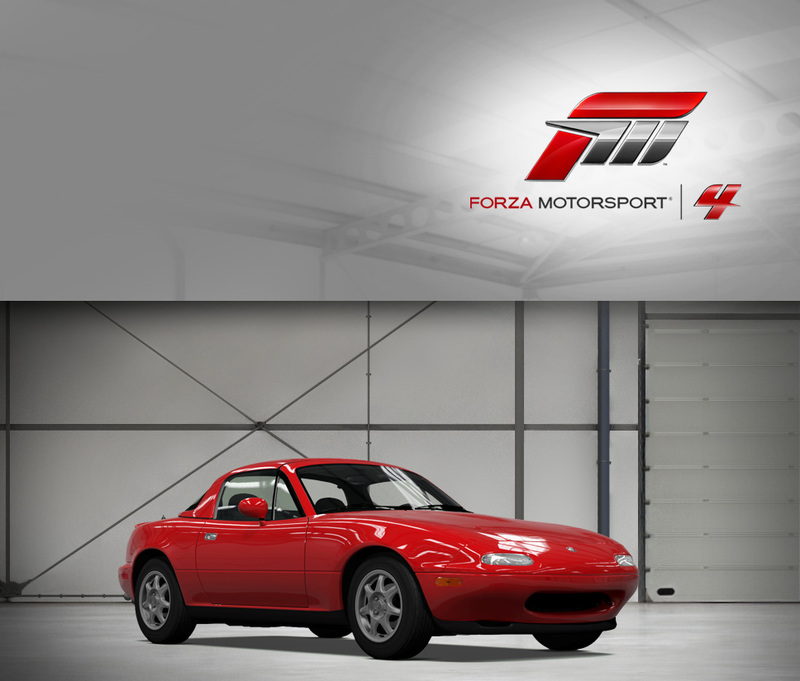 Mazda has a research and development center for European operations in Germany, and it was actually those engineers who took an actual MX-5 and put it under the knife. What emerged is the neo-retro creation you see here. Cut out is everything that doesn’t help the Superlight perform better, so forget about a heater or soundproofing—when you don’t have a roof or side windows at all, you certainly don’t need those. What is included is Mazda’s excellent and proven 1.8-liter four, making 125 horsepower in this application—and with just 2,200 lbs. to motivate, that’s plenty of grunt to have an obscenely good time. The engine makes the kind of go-fast noises that, when paired with the absence of an enclosed cabin, evoke the glory days of racing. When you add it all up, it’s a bare-bones Mazda that’s more fun than the sum of its missing parts. They don't make (many) cars like the Mazda 2 anymore. The diminutive hatchback harkens back to the day when, almost by accident, the light weight nature of small cars made them surprisingly fun to drive. That the 2 is fun to drive, however, is no accident--from the get-go, the five-door has been engineered to provide the most fun-per-weight ratio in its competitive class. With just 2,300 lbs. to haul around, the 2's 100-horsepower engine is perfectly suited for tarmac adventures both urban and rural, and the twistier the better. While spartan, the interior is both pleasing and sporty, and the exterior design is one of the best translations of Mazda’s current “nagare” design language out there. In terms of driver engagement and overall performance, it’s easily one of the best choices in its class, and is a threat to any supermini out there on a track. As you might expect from a company that has always sought to inject a bit of fun into all its offerings, and also has a long history of making highly competent sportscars, the Axela (known as the “3” in North America) is a delight to drive. While some smaller hatchbacks are fun to drive simply due to their light weight, engineering a car the Axela’s size to drive as well as it does is a testament to the platform the Axela rides on (co-developed with Ford, and also underpinning the excellent Volvo C30 and Euro-only second-generation Ford Focus). Up front there are traditional MacPherson struts with an aggressive anti-roll bar, but out back is the innovative “E-Link” multi-link system that saves cargo space but provides excellent, mostly neutral handling. Power is provided by a Mazda 2.3-liter inline four that provides 168 horsepower, a healthy output in this class, enabling class-competitive acceleration figures and a broad torque band. We should be thankful that Mazdaspeed stopped only tuning up racecars, because when they get their hands on a compact family sedan like the Familia (known as the 323 and Protegé outside Japan), the result is a lot of fun. 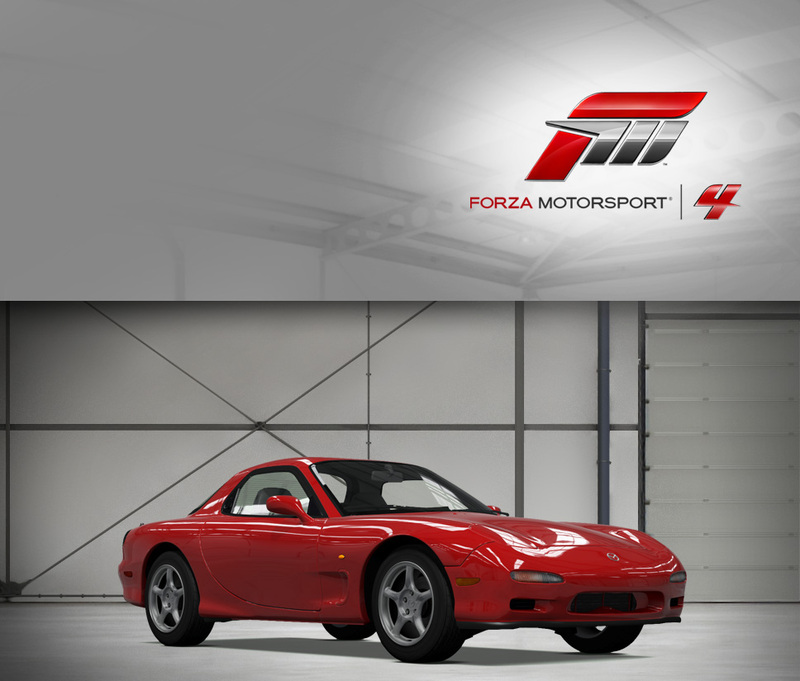 The Familia is a good platform to tune, because it was already surprisingly fun and sporty (just like any Mazda). That trademark Mazda agility is improved with firmer shocks and thicker roll bars. The engine received help too, with a high-compression motor, lighter flywheel, and sporty Mazdaspeed exhaust. The result is a more responsive, rev-happy engine that makes satisfyingly snappy noises. Mazda has always been about providing a lot of smiles out of even their most basic offerings, so the professionally tuned Mazdaspeed Familia is sure to make you grin. Don’t call it a Miata—the diminutive Mazda roadster is now called the MX-5, and the name change comes with a bunch of improvements, not least of which is the disappearing hardtop. Also improved is the engine’s output, with 158 horsepower from the larger 2-liter motor. In the MX-5’s featherweight 2,500 lbs. chassis, that gives the MX-5 some eyebrow-raising performance. Additionally, all the agility Mazda enthusiasts everywhere have come to expect from the roadster is still there, with the added benefit of it being faster in the straights. Also unchanged is the spirit of the MX-5, truly the heir to the fun-to-drive sportscars of old (but without the oil stains in the driveway). If it’s not fun enough right out of the box, you’ll be happy to know that the chassis will easily handle more power with a few modifications in the Upgrade Shop. Known and loved the world over, the Roadster has always given sportscar enthusiasts a thrill since its introduction in 1989. How to improve upon a good thing? 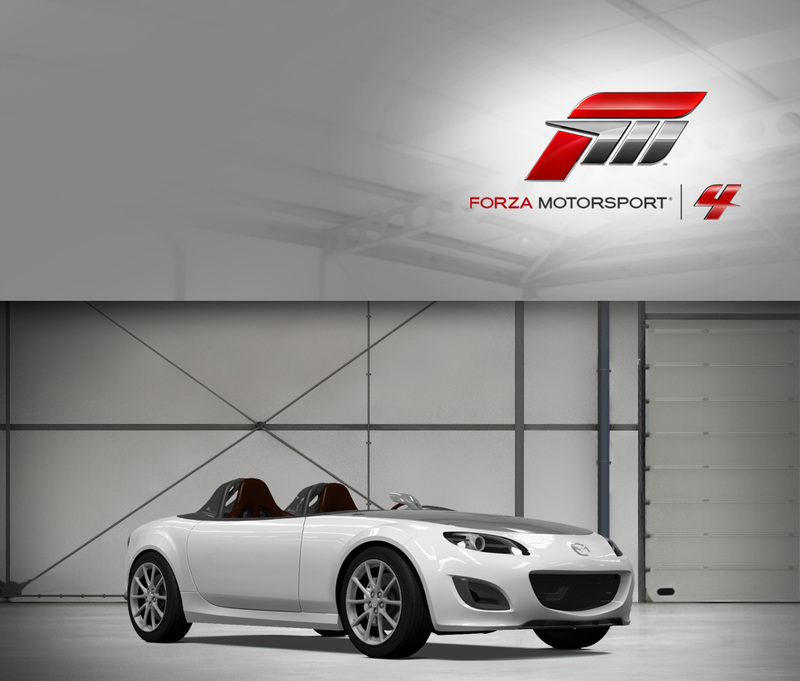 Mazda turned to their own tuning house, Mazdaspeed, to tweak the Roadster into near-perfection. Four-way adjustable dampers improve upon already remarkable handling, and a sporty full exhaust system gives the 1.8-liter motor an eager purr. Special paint (Starry Blue Mica) and gold-colored aluminum wheels and a special ground effects kit set off the Roadster visually. A large wing sits out on the rear deck, providing further visual excitement. Spying the Mazdaspeed badges on the flanks of this Roadster will indicate that you’re looking at a very special driving machine whose poise and balance are perfect for tackling the complex apexes of the Fujimi Kaido circuit. Mazda had nearly three decades of experience perfecting the promising but finicky Wankel rotary engine into a reliable powerplant by the time this 1990 model (known as the Savanna RX-7 in the Japanese home market, and simply the RX-7 abroad) hit the scene. The second-generation RX-7 was specifically designed to appeal to the largest market—the United States—by looking at what sports cars were selling well at the time. Because imitation is the sincerest form of flattery, it’s unlikely the Porsche 944 was offended by the resulting bodywork. Under the hood, though, the Porsche and the Mazda couldn’t be more different. Mazda’s latest rotary, a two-rotor design known as the 13B, saw the addition of a turbocharger and a host of other refinements to bring power (and more importantly, torque) up to 200 and 195 ft-lbs. respectively—providing significantly more straight-line performance. Suspension improvements are also radical compared to the first-generation, particularly the advanced independent rear suspension that replaces the live axle on the older car, and additionally provides a bit of passive rear steering. Not only does the turbocharged RX-7 perform wonderfully, the rotary’s howl is addictive, and you’ll find the 7,000 RPM redline comes up far too often. The RX-8 may be a much different car than the RX-7 that it replaced, but there’s one thing that’s exactly the same: the pure, simple fun of the excellent rotary engine. Smooth and turbine-like, there’s really no replicating its unique power delivery characteristics—approaching redline, it seems to want to keep on revving forever. That’s not surprising, considering that this very limited edition model comes with some refinements courtesy of in-house tuner Mazdaspeed, and the most important is the car’s new carbon fiber flywheel that allows the already rev-happy engine to spin up even faster. Other mild engine refinements boost output to 250 horsepower, and the Mazdaspeed version wears special bodywork to differentiate it from lesser versions. For rotary fanatics, this may be the ultimate RX-8. Though the 2011 Mazda RX-8 will be the last production model of the RX-8 series, it appears to be going out with a bang. The 1.3 liter engine is capable of 232 horsepower, a top speed north of 130 mph, and a 0-60 time of around seven seconds. The six-speed manual transmission and light weight make for a responsive ride and there’s no denying the pleasing whines of that rotary engine. 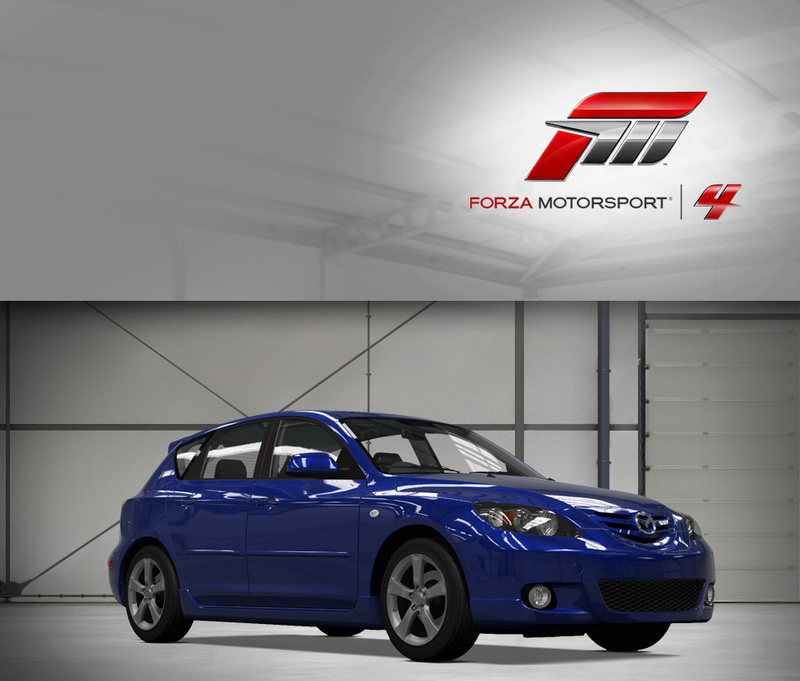 It might be going away, soon to be replaced by Mazda’s next sports coupe, but you’ll be able to enjoy the RX-8’s swan song in Forza 4 for years to come. What could make the already excellent Mazda 3 better? A tune-up by the Mazdaspeed crew and a healthy dose of power through turbocharging is exactly what the doctor ordered. The already potent and highly-regarded 2.3-liter engine ingests that boost to put out 263 horsepower, which finds its way to the ground through a limited-slip differential. While it surges forward under acceleration, Mazdaspeed’s skilled engineers didn’t neglect cornering prowess, an essential for any car wearing the Mazda badge. 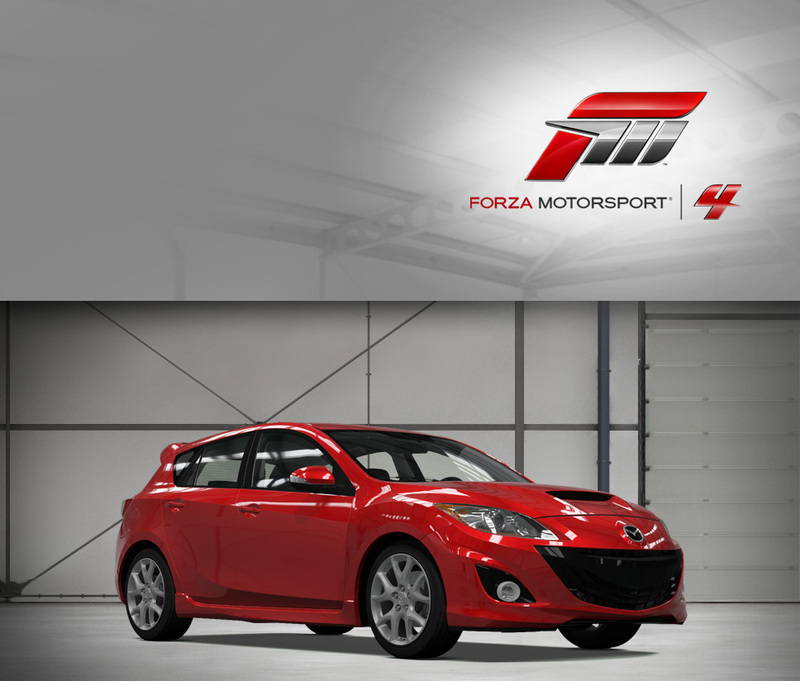 They beefed up the chassis to make it stiffer and applied expert suspension tuning, skillfully crafting the Mazdaspeed 3 to be both compliant around town and surgically precise in a turn. It looks the part, too, although the subtle cues that separate this hatch from its lesser stablemates match its businesslike demeanor: it goes fast and turns sharply without too much fuss. Its multi-talented charms have wowed the motoring press, and it won’t take too long in the driver’s seat for you to be won over as well. While many concept cars are just rolling shells made to look pretty on automakers’ podiums, the Furai was designed from the get-go to perform, with a 458-horsepower 3-rotor Wankel engine amidships constructed by Mazda specialists Racing Beat. The chassis is constructed by Courage, and the overall mechanical package strongly resembles the Mazda/Courage ALMS cars. But the exterior resembles nothing else, on this world at least. The ultimate example of Mazda’s “Nagare” design language (“nagare” means “flow,” and “furai” means “the sound of the wind,” in Japanese), the Furai’s intakes, grille, and rear fascia are dominated by curving shapes, the nose draws out to a sharp point, and the teardrop-shaped cockpit is drawn back nearly to the rear of the car—the overall look is organic and mechanical at the same time. The fully functional racer (wearing the same #55 as the Le Mans-winning 787B) is capable of competition if Mazda chooses to race it, and would surely cause a sensation on the track. In some ways, LMP2 cars are almost more interesting than the high-dollar, totally bespoke LMP1 cars. For instance, the lower cost of racing means that privateers can compete fully, and cost considerations mean that the engines are usually related to production motors. In the #16 car, this means a Mazda MZR-R 2-liter inline four cylinder based (rather loosely—no parts interchange, although the direct injection system is a variation of the street system) on the unit that sees duty in the Mazda3 and Mazda5. In this application, the MZR-R is nested within the closed carbon fiber monocoque crafted by constructor Lola, and turbocharged to the tune of more than 500 horsepower. Per cylinder, that’s a higher specific output than an F1 engine. A featherweight 1,800 lbs., the Mazda can accelerate to 100 mph in just 5.9 seconds, and handling and braking are what you’d expect from a pure race car. Clad in white with red and green accents, the coupe’s clean lines and proportions work well with the uncluttered livery. There are so many reasons to appreciate the Mazda RX-7; if not for its performance-per-dollar value, then for its innovative design. The Wankel-powered RX-7 is the only vehicle to utilize the awesome, unlimited revability of the rotary engine. The ’85 GSL-SE introduced the 13B engine, the largest, most powerful RX-7 rotary motors to be developed to date. The car also received bigger brakes and stiffer springs and shocks. Since the motor was situated behind the front axle it was referred to as front-mid engine. The result was a perfect 50/50 weight distribution. Altogether, the car weighed barely 2,500 pounds and, with its live-axel rear end, turned a .77 on the skid pad. Combined, these factors produce a formidable sports car. They are a rip to drive and one of the most affordable sports cars around. 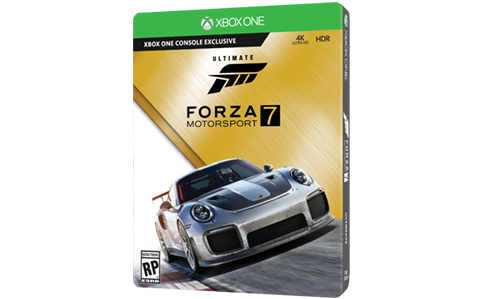 Tune one up in Forza and watch it blow away more powerful cars.